Carry your stuff around in AMC's The Walking Dead style! 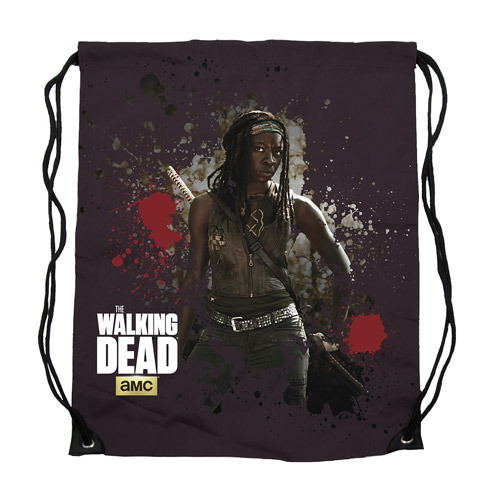 The Walking Dead Michonne Cinch Bag is made from durable polyester and displays an image of the katana-wielding zombie-toter, Michonne. Bag features reinforced bottom PVC corners with grommet for polyester cording straps. Intended for light use. Measures 17-inches tall x 13 2/4-inches wide. Ages 8 and up.